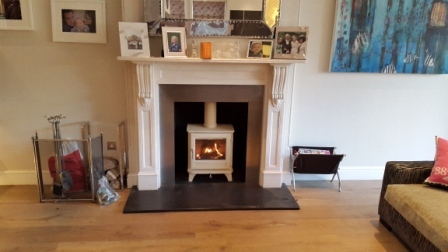 This Chesney’s Salisbury stove installation was completed as part of a fabulous house renovation in Wandsworth, London. Our first job was to carefully remove the Buckingham marble mantel already in place. 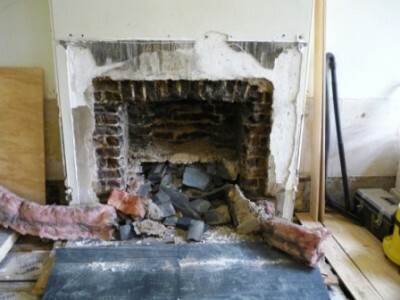 Then we had to take out the existing fireplace which was no longer desired. Instead the client had chosen the fireplace to be changed to a wood burning stove. The wood burner of choice was a Chesney’s Salisbury Stove 5Kw in Ivory. 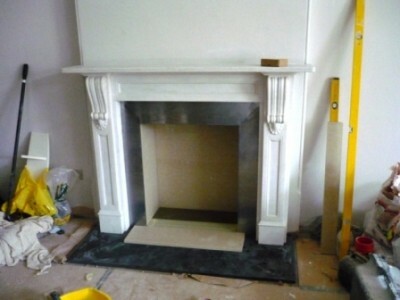 This stove was installed and then we attentively reinstated the marble fire surround to finish the job. 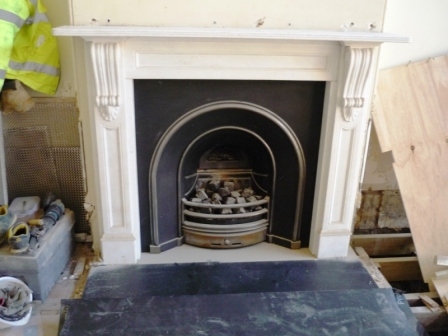 Finally, take a look at an installation of the Chesney’s Salisbury stove in black.